If you’re looking to see the world, why not see it in like-minded company? Contiki is here to help you do just that – with global adventures for 18-35 year olds, you can discover awesome new destinations. Whether you are keen to travel solo (as up to 50% of Contiki’s travellers do), or join as a couple or group of friends, you’re sure to meet some great new people along the way. Contiki tours can take you to epic destinations – from the cities of Europe to the beach towns of North America, and the most remote corners of Latin America. If you’re looking for great culture and a vibrant destination with tasty food, then Asia is a great bet, with everything from shopping in Tokyo to street food in Thailand. Just because you’re in a group it’s not about compromising on ‘me time’ either: Contiki trips are tailor-made to suit your needs, whether you’re looking for a relaxed easy-going pace, or a faster in-depth insight into Asia. Even better, you don’t need to spend your time sorting out logistical issues – Contiki’s top team of guides take care of all that for you. 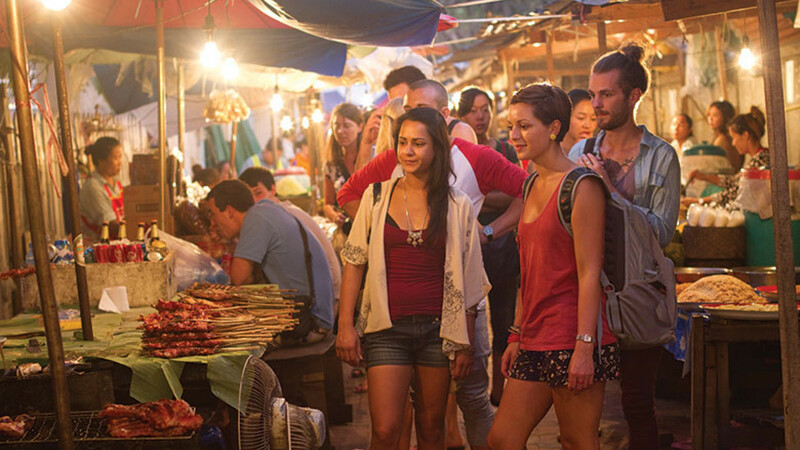 If you’re looking to see the best of south-east Asia in one swoop, the Asian Adventure tour is for you – it covers the best of Thailand, Laos and Cambodia in 14 incredible days. Starting off in Bangkok, you’ll soon be swapping the bright lights of the capital for rice paddies, sugar fields and coconut palms. Next it’s on to the low-key vibes of Laos, with its French colonial past and small villages, before a few days exploring the jaw-dropping temples of Angkor Wat in Cambodia, along with the country’s lush jungle and it’s fascinating capital, Phnom Penh. 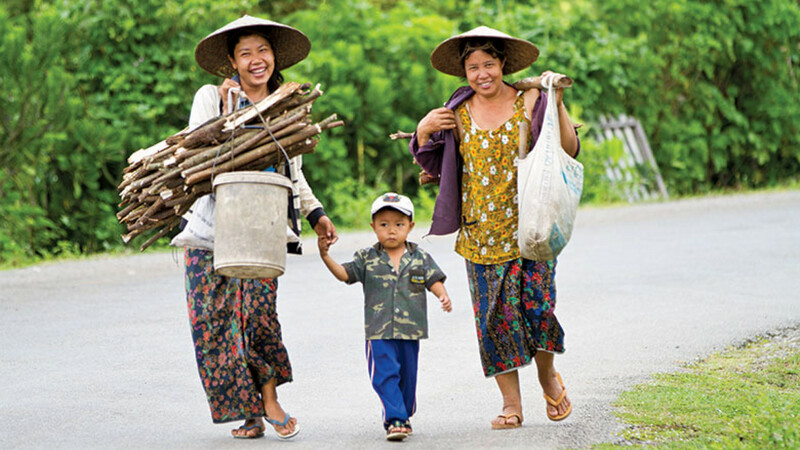 For a more in-depth look at south-east Asia, try the Big Indochina Adventure – 25 days of exploring, from the hustle and bustle of Bangkok, to the serene countryside of northern Thailand, to the beaches of Vietnam. 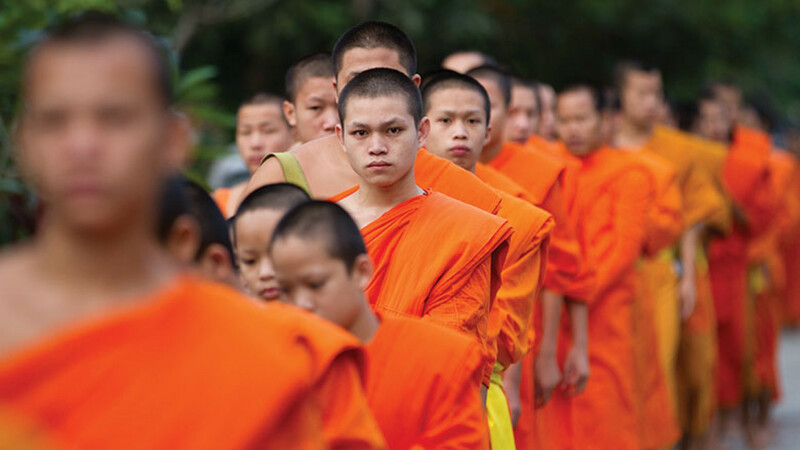 The trip also takes in the laid-back landlocked country of Laos, a country that has now achieved a cult status among travellers. 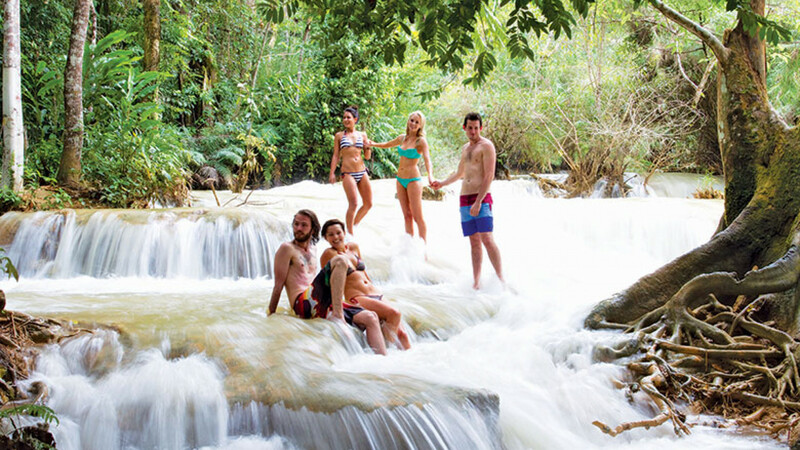 There’s so much to take in: you could cycle past time-worn French mansions and temples in Luang Prabang, before cooling off in the turquoise pools beneath the 60-metre Kuang Si waterfalls. 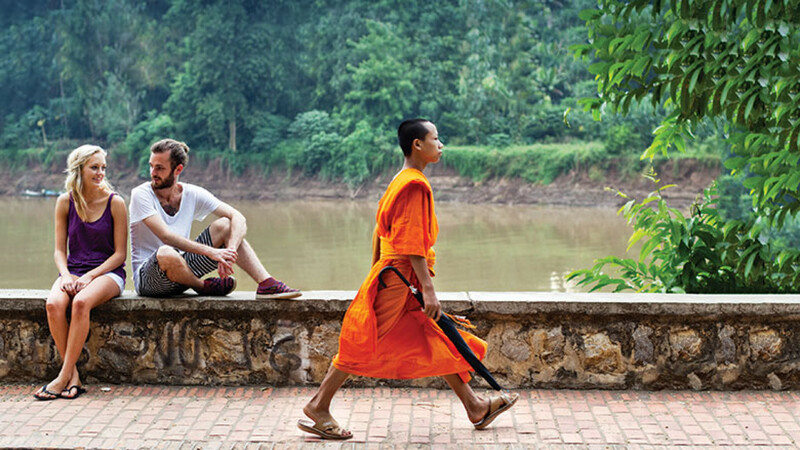 There are colourful night markets to wander (with the best of the country’s street food), huge dramatic caves to visit, and Vientiane, Laos’ compact, cosmopolitan capital is a brilliant place to soak up the history, traditions and beauty of the country. Over the final few days of the adventure, you’ll walk the streets of the bustling capital of Vietnam, and cruise by junk boat through the postcard-worthy scenery of Halong Bay.